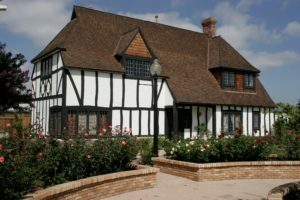 The Annual Pam Glover High Tea is a Lemon Grove Historical Society tradition. Tracing its roots to the evening meal of northern England and southern Scotland, our “high tea” is a re-creation of a centuries old experience. Enjoy a lavish four-course English high tea, door prizes, and treats. Included with the tea is a tour of the Parsonage Museum and grounds. The October 2017 edition of the event was a rousing success. Proceeds support the Treganza History Essay Competition for Third Grade in Lemon Grove schools.